If you are wanting to sell part of your established area, then the best thing would be to put together a really great package and use this to get your first franchisee on board. It would not be called a resale, but rather a franchise area available with an existing customer base. Define the area and ensure it matches the overall potential of any new franchise area. Price of area would be usual franchise fee + the cost of goodwill (i.e. existing customer base). A usual and fair valuation would be based on 1 x annual net profit being generated by the turnover being sold with the area, although there are many variables that affect this. Produce a prospectus which is a mix of general prospectus and specific details about the ‘resale’. Allocate a budget in order to generate some interest in this area through direct advertising (Online advertising is best and there are a number of options to look at once you have a budget). Launch a mini advertising/marketing campaign to generate some leads from your area. Sometimes this is a logical way of doing things, because if you end up having problems ‘selling’ this area with an existing customer base, then you will probably identify problems with the overall franchise package, which will allow you to sort them out. 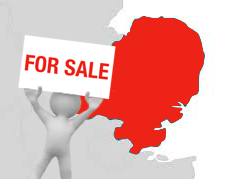 My advice is to make the area very attractive to a potential buyer (if people can see they can make their money back in 6-12 months simply by maintaining or slightly increasing the customer base, this will be attractive) and you can do this by discounting the overall franchise fee as well as discounting the goodwill value of the customer base. On top of this, the person that buys will get unparalleled support from you as they will operate alongside you. You will make sure they succeed, and in doing so, you will have a real ambassador of the business and the franchise and effectively you’ve created a pilot franchise who potential franchisees will be able to speak to and get good feedback to help them make their decision.